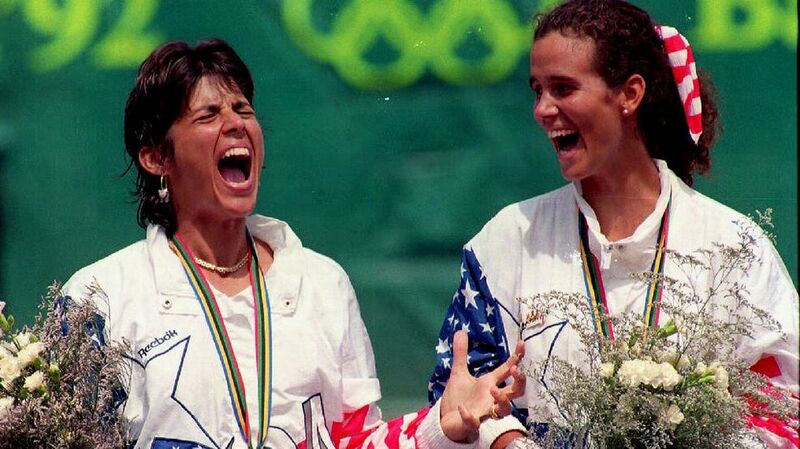 Twenty years ago yesterday, on September 7, 1997, Gigi Fernandez and her longstanding doubles partner, Natasha Zvereva, lost the US Open women’s doubles final to Lindsay Davenport and Jana Novotna. Fernandez was 33 years old. She and Zvereva were still the world’s best doubles duo. As the post-match awards ceremony continued, Fernandez made an announcement. Her career was over. It had been epic. Fernandez won 17 Grand Slam doubles titles and, alongside Mary Joe Fernandez, a pair of Olympic gold medals. In 2010, she and Zvereva were inducted into the International Tennis Hall of Fame. Every ex-pro goes through a decompression period, a quest for emotional recovery from the pressures and demands of tour life and, in time, find new forms of engagement, be it work in television, coaching, clinics and, in many instances, activities that have nothing to do with tennis. Had Fernandez wished to continue on the tour, it’s likely she would have been able to play high-level doubles well into her 40s. But in 2000, over the course of a fantastic five-hour interview, Fernandez, then 36, told me she had zero desire to hit a tennis ball, adamant to the point that it seemed she never would again. Over the course of the next decade, she would earn a B.A. and an M.B.A. The fever returned, in a surprising way. There was the invariable foray into coaching, most notably in Fernandez’s case a stint as head coach at the University of South Florida. Even more rare, though, Fernandez began to teach adults the art of doubles. By now, she has taught more than 3,000 recreational players all across the world at customized events. She studied the nuances of recreational players, their skill sets and how civilians vastly differ from the pros. Not every adult, for example, can comfortably serve and volley (though Fernandez strongly believes more could if they practiced that tactic appropriately). And since adult duos are not as adept at hitting overheads or running down lobs, they must configure themselves somewhat differently than pro teams. On another note, Fernandez is dead certain that recreational players spend far too much time guarding the alley when what they should do is move towards the middle. An interesting aspect to Fernandez’s ideas is the contrast between her persona and ideas. She’ll be the first to admit she has had her share of emotional moments. As a player, well aware that she would likely incur her share of fines, Fernandez was known to have mailed the WTA a check at the start of the year as an advance towards her imminent penalties. But as a doubles guru, she is as rational as a financial planner. Invest in Fernandez and you will yield a strong net return (bad pun intended).